Anxiety Man - This is by a New Jersey ska band called Good Night Moon. This is one of there great songs. Trampolines by Good Night Moon. Girl by Good Night Moon. Dalmation Cat by Good Night Moon. Nintendo mp3's - MP3 loop clips from your favorite 8 bit game system. - This is Princeton Universities radio station. Highly recommended for many different types of music. - This is Rutgers Universities radio station. Another great station for a real variety of music. SKA SHOW! 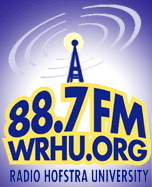 @ www.wrhu.org - If you like Ska music, then you have to check out the ska show on the web every Monday night 7 - 9 pm from Radio Hofstra University. - WMSC, Montclair State U. in NJ. Another place to listen to alternative music. - This is the University of North Carolina at Chapel Hill's radio station. Another great station for a real variety of music.